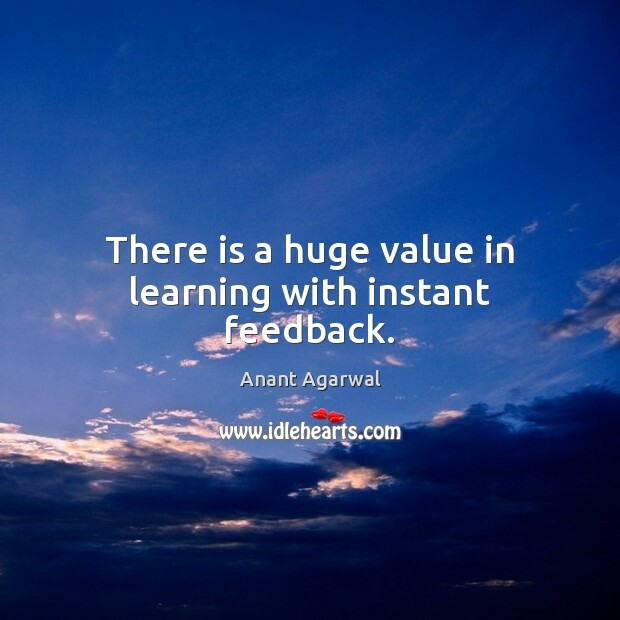 Enjoy the best inspirational, motivational, positive, funny and famous quotes by Anant Agarwal. Use words and picture quotations to push forward and inspire you keep going in life! 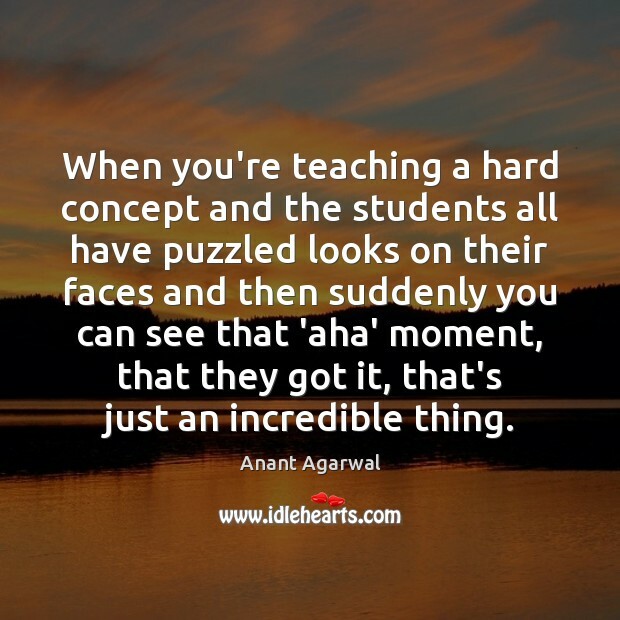 When you're teaching a hard concept and the students all have puzzled looks on their faces and then suddenly you can see that 'aha' moment, that they got it, that's just an incredible thing. 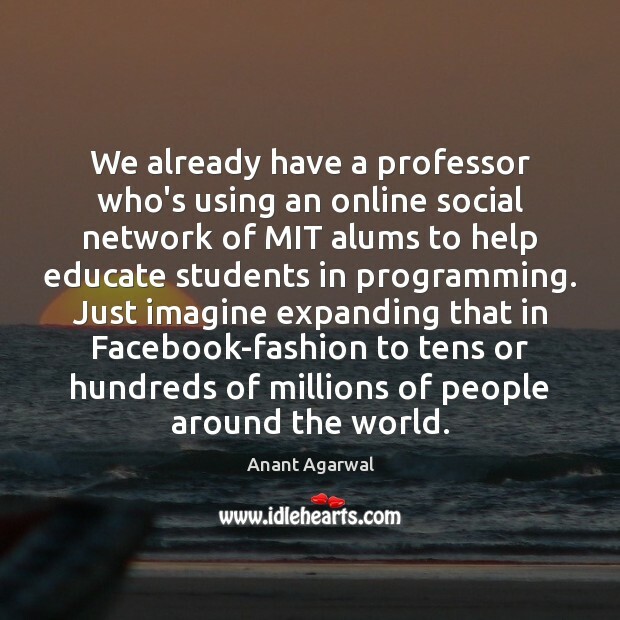 We already have a professor who's using an online social network of MIT alums to help educate students in programming. Just imagine expanding that in Facebook-fashion to tens or hundreds of millions of people around the world. 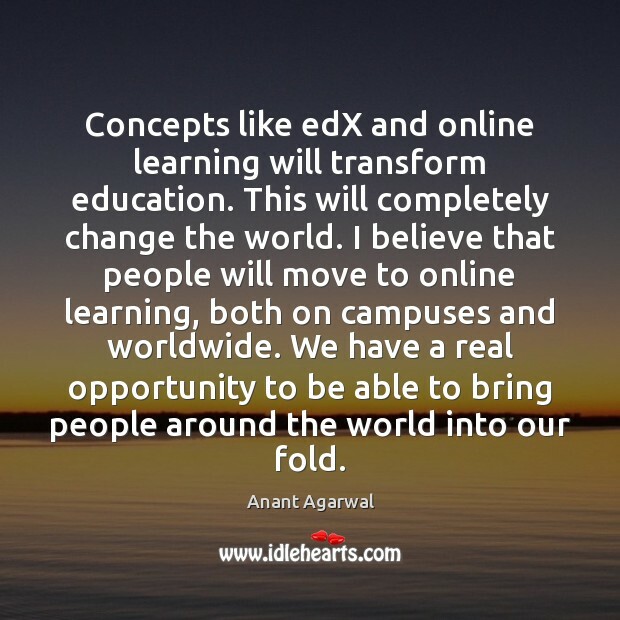 Concepts like edX and online learning will transform education. This will completely change the world. 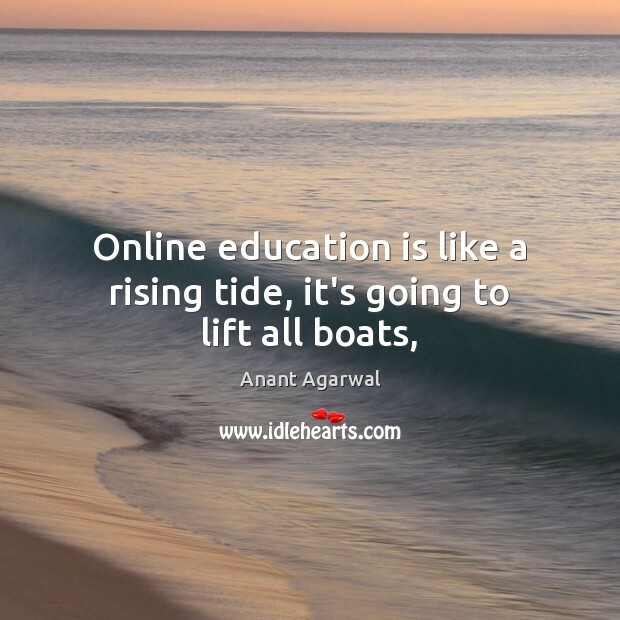 I believe that people will move to online learning, both on campuses and worldwide. We have a real opportunity to be able to bring people around the world into our fold. A large number of students around the world don't really have access to high quality education. So, launching EdX allows students all over the world to have much better access to a high quality education from a university such as Harvard, MIT, Berkeley and others as we add more universities. EdX will be a creating a platform which will be open source, not for profit, and a portal for a website where universities will offer their courses. 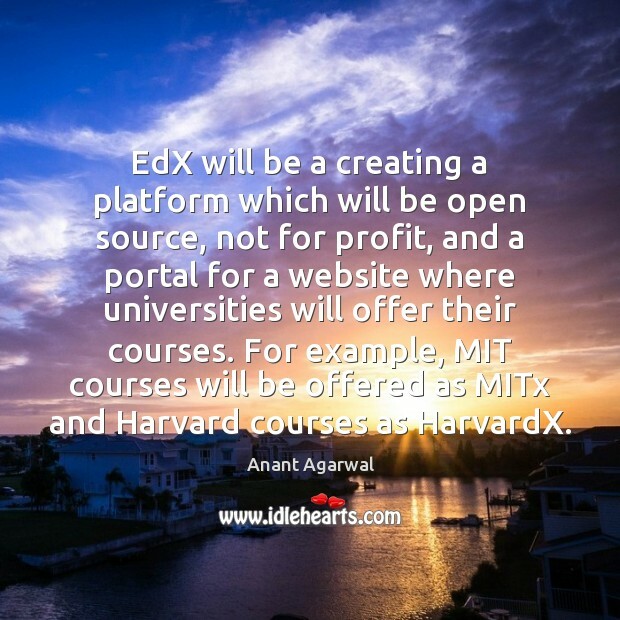 For example, MIT courses will be offered as MITx and Harvard courses as HarvardX. 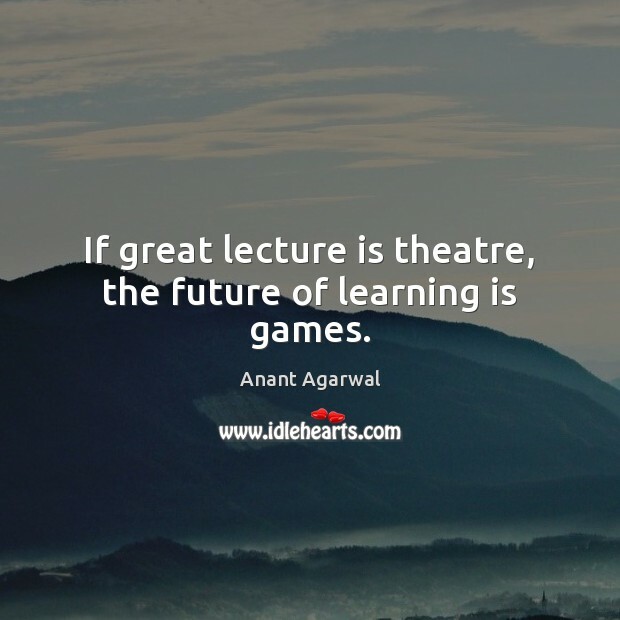 If great lecture is theatre, the future of learning is games. I think we can question whether degrees are antediluvian. Online learning has flexibility. Why not master courses in energy, writing, communications, and engineering and get a credential?